Essential beauty tools to be kept at home. Gateway to international recognition in modeling and pageants. Welcome to our News & Information Web Portal. Our website is sharing the latest news and insights about Miss Malaysia & Miss Universe (Updating soon). You may also want to checkout all the news & articles about Fashion & Beauty. 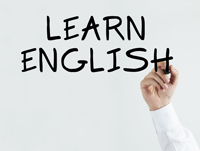 Want to improve your English Speaking ? LMF Provides High Quality Personalised Language Learning, Find out more about LMF Language Centre, please visit their website for more detail. Copyright © 2012 Miss Malaysia & Miss Universe News Portal. All Rights Reserved. Designed by Malaysia Website Design.